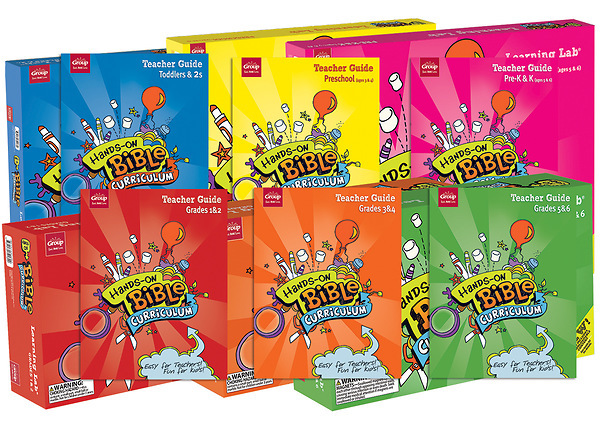 Hands-On Bible Curriculum® Super Value Set includes 6 Learning Labs® and 6 Teacher Guides—one for each age level...a $654 value! Hands-On Bible Curriculum® Super Value Set includes 6 Learning Labs® and 6 Teacher Guides—one for each age level. Now all your children's Sunday school teachers can teach as Jesus taught! Hands-On Bible Curriculum provides age-appropriate, fun, hands-on learning for Toddlers through 6th grade.